It truly seems like every possible trend from the '90s has been and continues to make a strong comeback this season. From strappy sandals to thin-strap dresses to the controversial but widely worn bucket hats, the trends some of our favorite fashion icons wore 20-plus years ago are as relevant as ever today. And it seems that list continues to grow. As of late, we've noticed a particular trend that's been appearing on necks everywhere. Any guesses as to the accessory we're talking about? Hint: The answer is in the headline. Puka-shell necklaces are all the rage right now. Everyone is wearing them, and we're swiftly following suit. 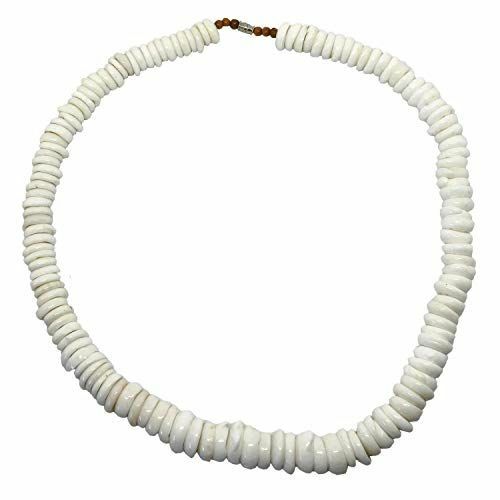 We decided to check out the puka-shell necklaces that are currently available to shop online and chose to sift through the bountiful selection available on Amazon. And boy, did we find some good ones. So if you've been unsure about how to accessorize your summer wardrobe, why not try a beachy-cool, summer-friendly puka-shell necklace? Now read on to see and shop the '90s trend perfect for this season. Next up, shop some unique swimsuits to style with your new puka-shell necklace.